Spring is by far my favourite time of year. The appearance of new leaves and flowers is always exciting. The spirit of renewal is strong and seems to accelerate as April approaches. 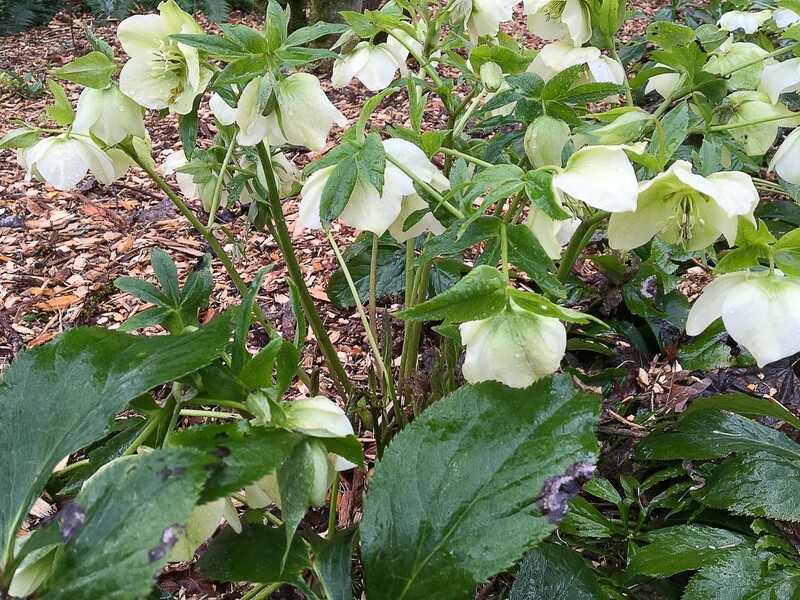 One of the joys of late winter and spring is the sight of hellebore flowers in gardens and landscaped areas. Where I live, the winter landscape is dominated by muted colours, especially dull green and shades of brown and grey. The scene is sometimes quite bleak, especially when it rains. I often feel that colour has been drained from the landscape. Thankfully, the first signs of spring appear early in the year. In addition, some cultivated plants bloom in winter. 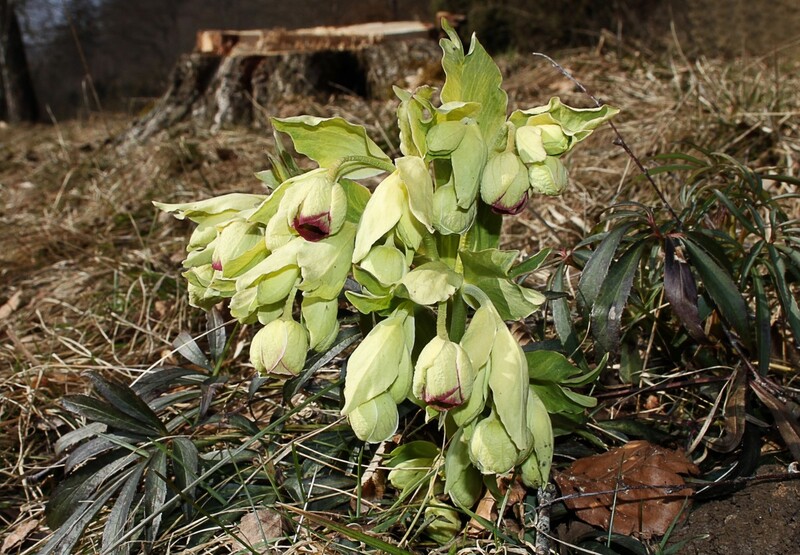 The appearance of hellebore flowers indicates that the intense activities of spring will soon begin. Hellebores belong to the genus Helleborus. The genus name is said to have originated from two Ancient Greek words: helein or elein, which mean "to injure", and bora, which means "food". Many hellebores are poisonous when eaten. Hellebores belong to the buttercup family, or the Ranunculaceae. The plants are native to Europe and Asia. They're loved for their ability to flower in winter and early spring and their often large and sometimes colourful blossoms. 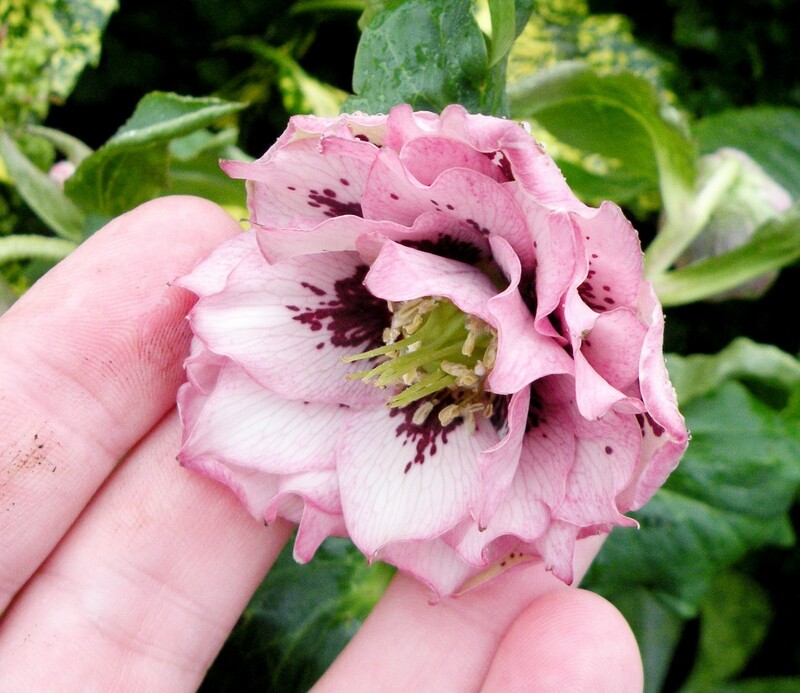 Hellebores are perennials, which means that the underground parts of the plant survive from one year to the next. 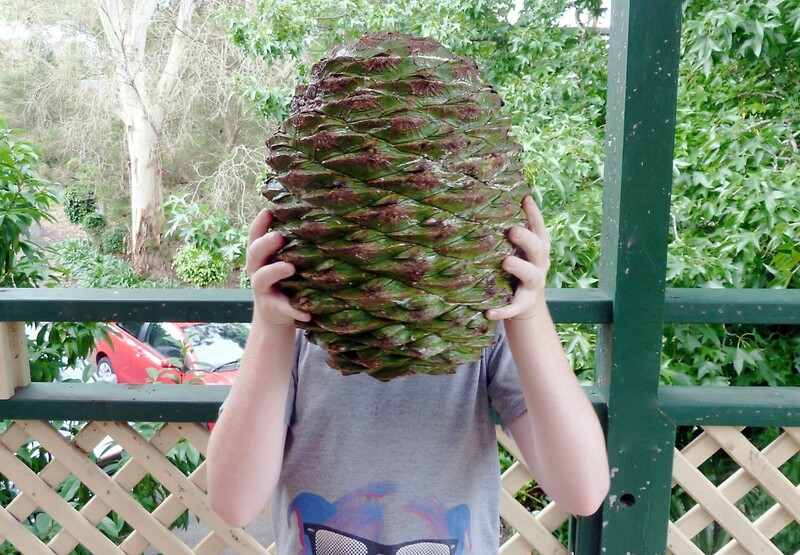 Some species are evergreen. 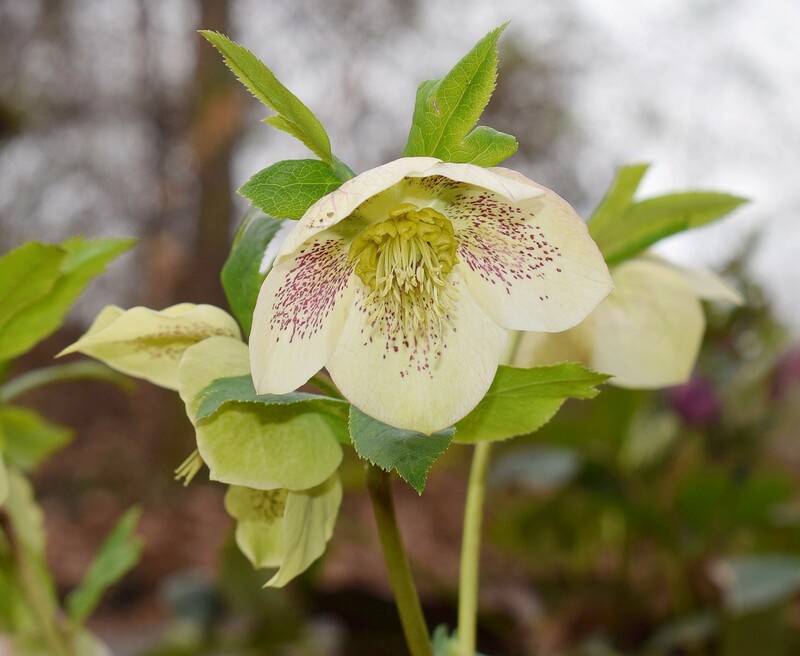 Though some hellebores have white, pale yellow, or pale green blossoms, others have rich colours. One example is the Lenten rose, or Helleborus orientalis. The plant has a lovely name, although it isn't a member of the rose family. 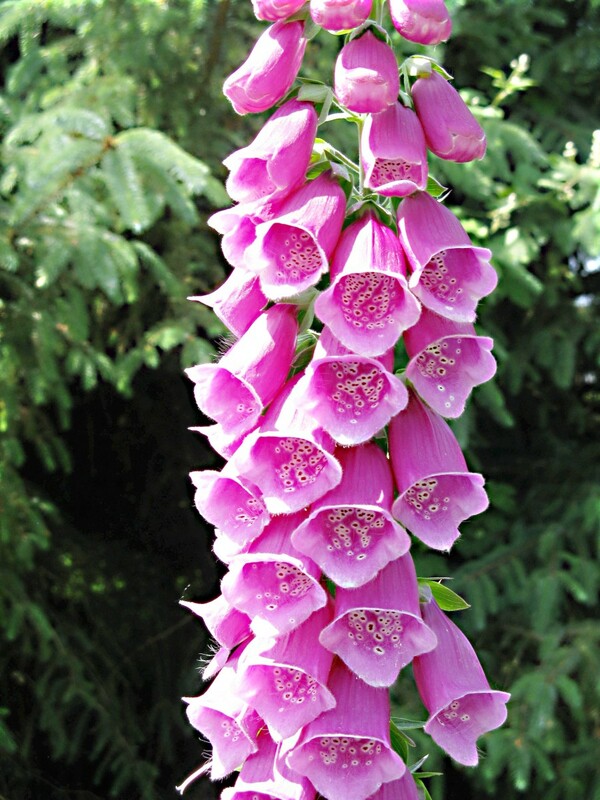 Its flowers vary in colour but are often pink to purple. The petals (which are really sepals) may be spotted. The term "Lenten rose" is also used for a plant named Helleborus x hybridus and sometimes for other species of Helleborus as well. The word Lenten in the plant's name is derived from Lent, a special period leading up to Easter in the Christian liturgical calendar. Fifteen to twenty species of hellebores exist. The number depends on the differing points of view of researchers. Some species contain multiple varieties and plant breeders have created hybrids between different species. This has created a wide range of appearances in hellebore flowers and sometimes makes identification beyond the genus level difficult. 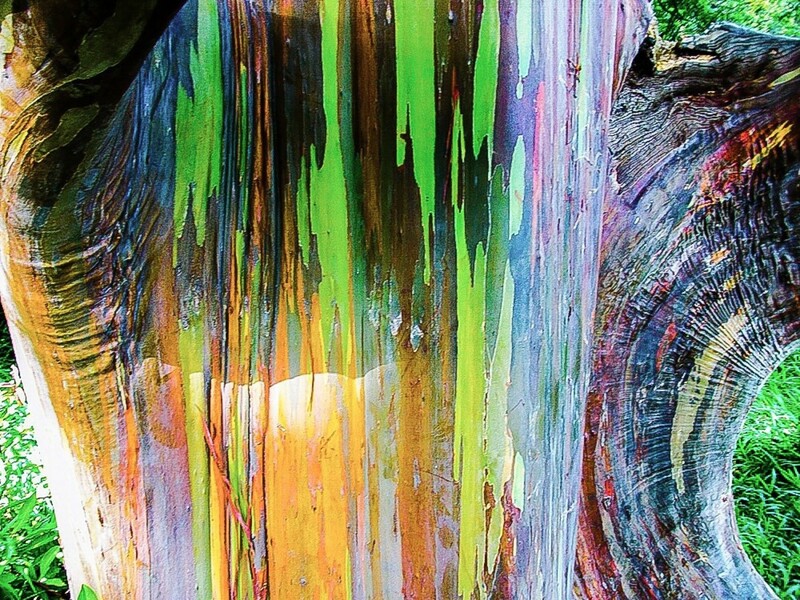 A single species may contain flowers of different colours. A hellebore flower appears to have five petals, but these structures are actually sepals. Inside the sepals is a ring of highly modified petals. They look like little cups and are known as nectaries because they hold nectar. They show up well in the photo of the Lenten rose shown at the start of this article. Hellebore flowers attract insect pollinators. Even during the early part of the year, a few insects are active. Some bumble bees are active even on cold days. The male reproductive structures (the stamens) and the female ones (the carpels) are located in the centre of the flower. In many hellebore species the flower is cup-shaped and is nodding, or bent downwards. The flower has to be lifted in order for someone to see the inner parts. Hellebore leaves are palmately compound. They consist of leaflets whose petioles arise from the same point on the leaf stem. The leaves are often leathery and glossy and have a toothed margin. Hellebores are said to be quite easy to grow. 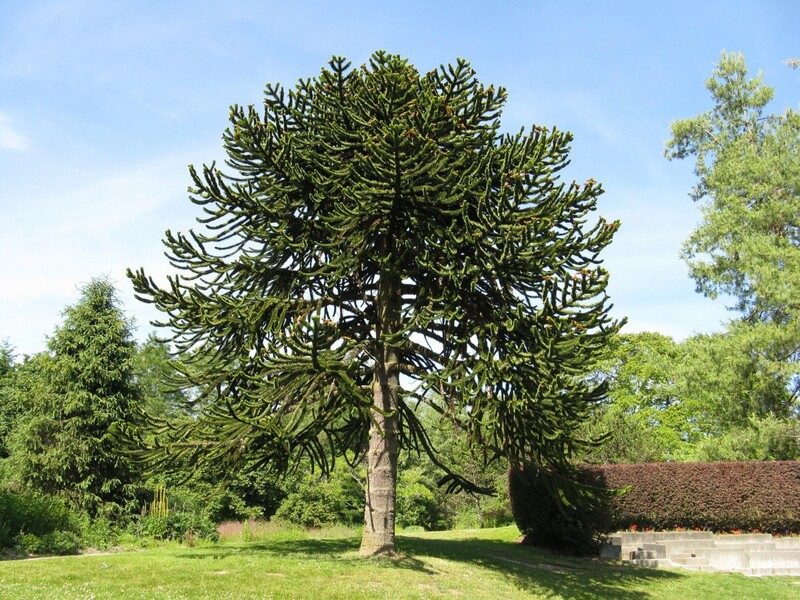 They prefer moist but well-drained soil and a semi-shaded environment. Plant breeders have created some interesting cultivars. Some have multiple rows of sepals and are known as double-flowered hellebores. A few cultivars have a deep purple-black colour. There are two main types of hellebores—acaulescent and caulescent. In acaulescent (stemless) hellebores, flower stalks and leaves emerge from the ground separately from one another. They are produced by a subterranean rhizome. A rhizome is a modified stem that grows underground and produces shoots. 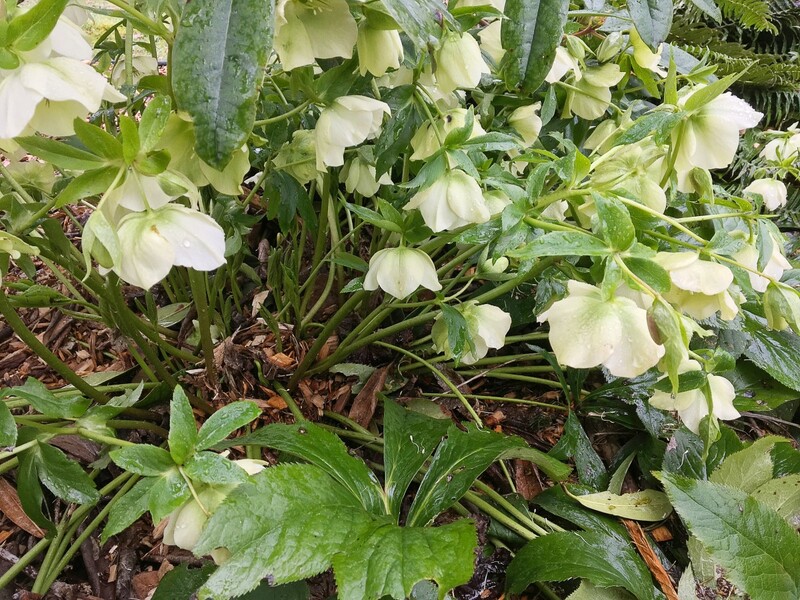 The leaves of acaulescent hellebores form a cluster at the base of the plant. The flower stalks may have bracts, but these aren't classified as leaves. The Christmas rose and many other types of hellebores are acaulescent. In caulescent (stemmed) hellebores, a stem bearing leaves as well as a group of flowers at the top is produced. Several of these multipurpose stems may appear. The caulescent group is smaller than the acaulescent one. Some hybrids and cultivars have features of both acaulescent and caulescent hellebores. The interior of nodding flowers may be easier to view if the flowers are placed in a raised bed or on a slope. 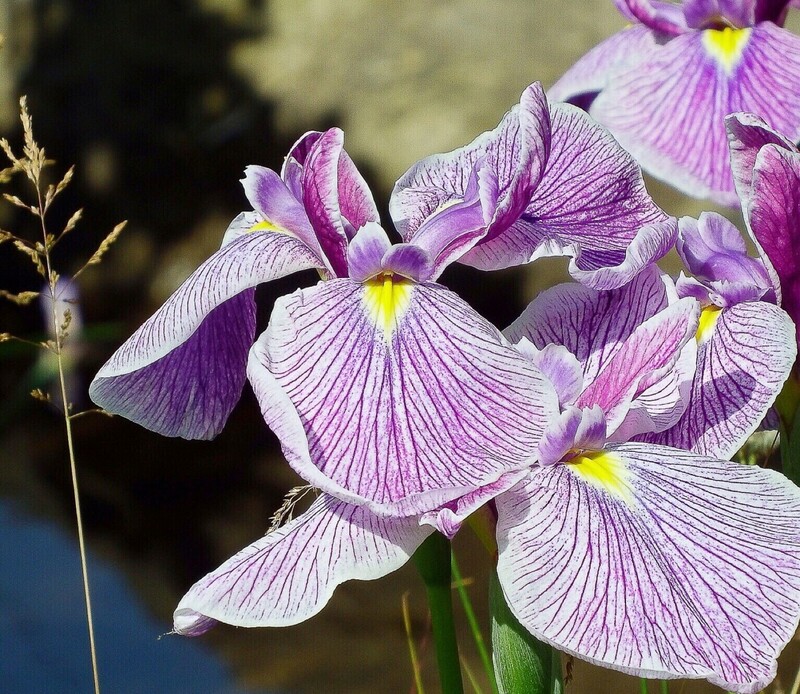 Plant breeders are creating flatter flowers that face forward, allowing observers to appreciate the full beauty of the blooms. Many and perhaps all hellebores are poisonous for humans or animals. The plants contain a variety of toxins that may be concentrated enough to hurt us. They also contain chemicals that act as skin irritants. It's advisable to wear gloves when handling the plants. Though there is some uncertainty about the identity and nature of the toxins in hellebores, there is no doubt that they are dangerous. In the Middle Ages and in even earlier times, however, the plants were used by herbalists. They administered plant material to patients in an attempt to treat certain medical problems. At least some species of hellebores contain chemicals called cardiac glycosides, which alter the heartbeat. Like buttercups, hellebores also contain protoanemonin. This chemical is produced from a substance called ranunculin when the plants are wounded. Protoanemonin irritates the skin and can cause a rash and blisters. It also irritates the digestive tract. Ingestion of the chemical can produce a burning sensation in the mouth, nausea, vomiting, and gastrointestinal inflammation, depending on the concentration. The entire Christmas rose-plant is toxic. Out of all the organs particularly the rhizome contains ill-defined compounds. The powerful toxins present are not destroyed in drying or storage. Both animals and humans are affected. Hellebores are interesting plants. The notability of a plant is a personal matter, but I find certain types of hellebores especially attractive or interesting. One of these is the Christmas rose (Helleborus niger). Its flower is generally white in colour, although pink cultivars have been created. Even the white flowers often develop a pink tinge as they age. They may eventually become green. 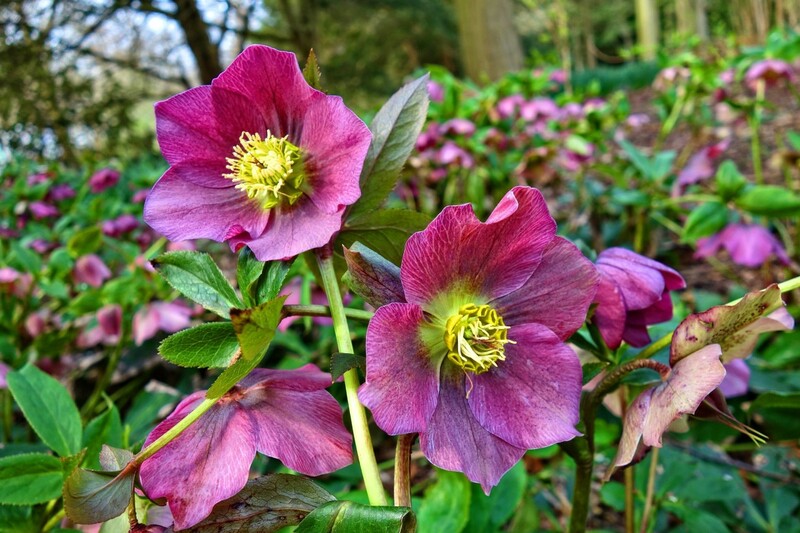 Hellebore blooms last for a long time, but they often change colour as they age. Many become green in old age. The Christmas rose flowers in winter. It may bloom during the Christmas season. Depending on the plant variety and the environmental conditions, however, it may not produce flowers until January or even later. I think the colour contrast between the sunny centre and white sepals in the flowers shown above is lovely. 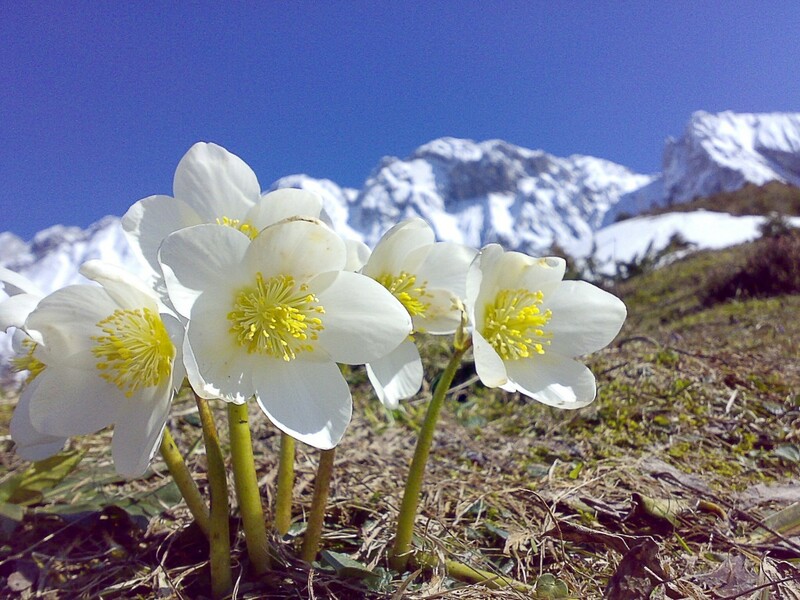 Although the Christmas rose is cultivated, it grows in the wild in mountainous areas of Europe. The stinking hellebore (Helleborus foetidus) grows wild in Britain and Europe. The "stinking" attribute applies to the crushed leaves. I've never smelled the odour, but I've read reports saying that it's not as bad as it sounds. The plant is also known as dungwort and bear's foot. The latter name comes from the shape of the leaves. The flowers are drooping, bell-shaped, and pale green. They are sometimes edged with red, as shown in the photo above. The leaves are much darker than the flowers. 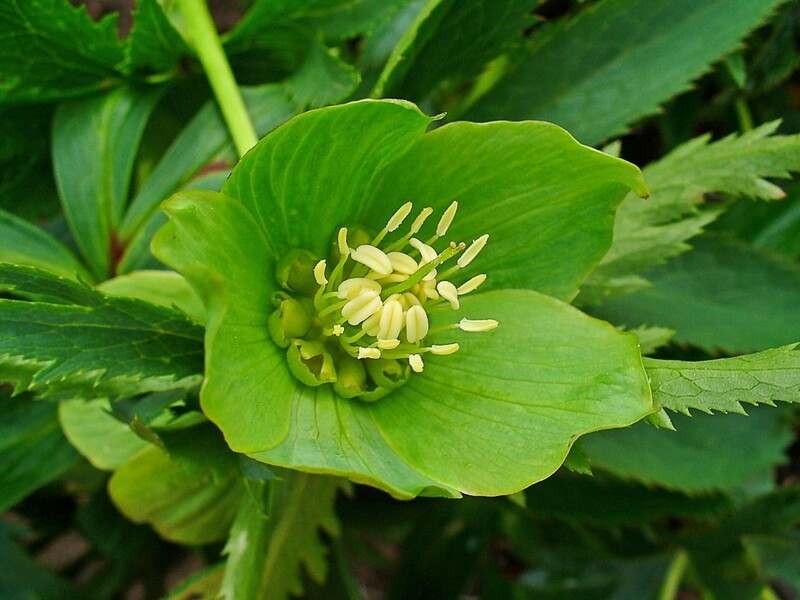 The green hellebore (Helleborus viridis) is also native to Britain and Europe. It's an interesting plant because the flower has a rich colour that may be the same shade of green as the leaves. The plant has been introduced to North America and grows in the wild in some places. It's wonderful to discover plants that bloom in winter. I especially appreciate the ones that bloom outdoors in late winter because the appearance of their flowers tells me that spring is not far away. The wide variety of hellebores in plant nurseries is enticing. The plants can be grown both indoors and outdoors, depending on the cultivar and the environment. It's important to remember that they are poisonous, especially if there are children or pets in the family. 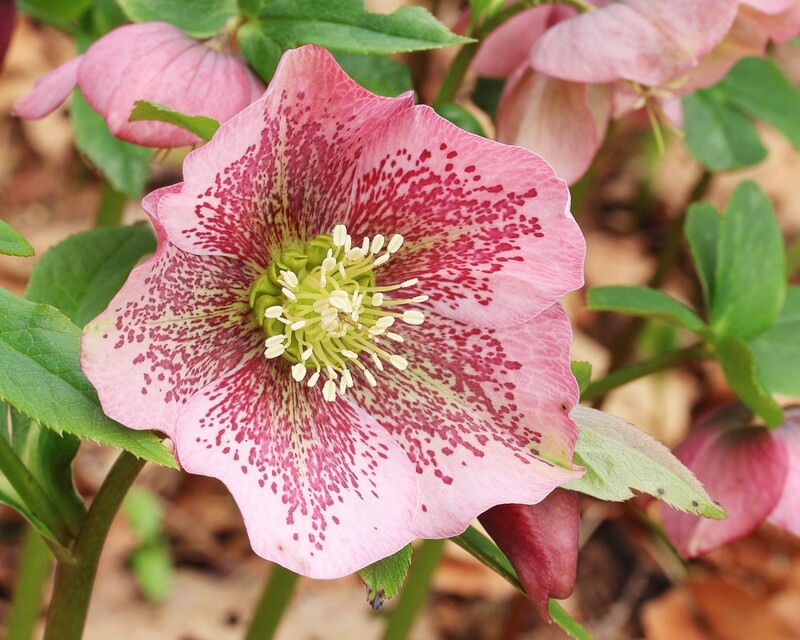 If precautions are taken, however, a hellebore can be a lovely addition to a garden or home. Thank you very much, Ann. I like the Christmas rose, too. It's a lovely sight, especially at the time of year when it blooms. This is a beautiful, informative hub, Linda. I love the Christmas Rose but don't have any in my new garden. I need to find a space for some. Great detail here and an enjoyable read. Thank you very much for the lovely comment, Dianna. I appreciate it very much. I have yet to see a hellebore. What a lovely flower! Always a joy to view your lovely photos and to learn from your writings. Thank you so much, Larry! Thanks, Heidi. I'm very careful about plants that I put in my garden and in my home because we have dogs and cats. I love observing potentially harmful plants in other places, though. Beautiful pics of this plant! I've known they do come with some cautions. So I've avoided them in our garden since our dogs eat everything. Thanks for sharing the info and pics! I hope you're having a nice spring where you live, Louise. I think it's a lovely time of year. Hi, Manatita. I think the name "Christmas Rose" is beautiful, too. Thank you for the visit. Spring is my favourite season. I do love the flowers you posted, they're so pretty. Lots of info on Hellebores. Good to learn about the male and female part of it and also the different types. I prefer the Christmas Rose, if only for the sweetness in the name. A toxic but beautiful flower. Hi, Bede. Happy Easter to you, too! Thank you very much for the comment. The weather doesn't sound very pleasant where you live. There's mixed sun and cloud where I live without a patch of snow in sight. I hope spring arrives soon for you. Hi Linda- a happy Easter to you! It was 9° this morning here where I live and still plenty of snow. 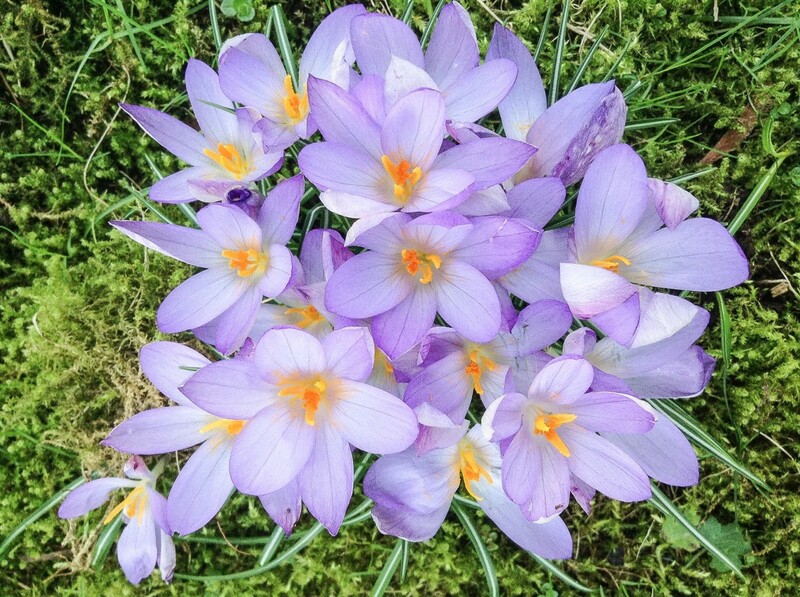 Seeing these beautiful flowers has given me hope…that winter will eventually end! The hellebores may be harmful to the body, but very helpful for the soul; I hope to plant some if it ever becomes warm. Also, I thank you for explaining things clearly and not assuming that your readers know everything. It is helpful, for instance, to have the different parts of the flower explained. Hi, Chitrangada. I appreciate your visit. Green flowers are definitely interesting! 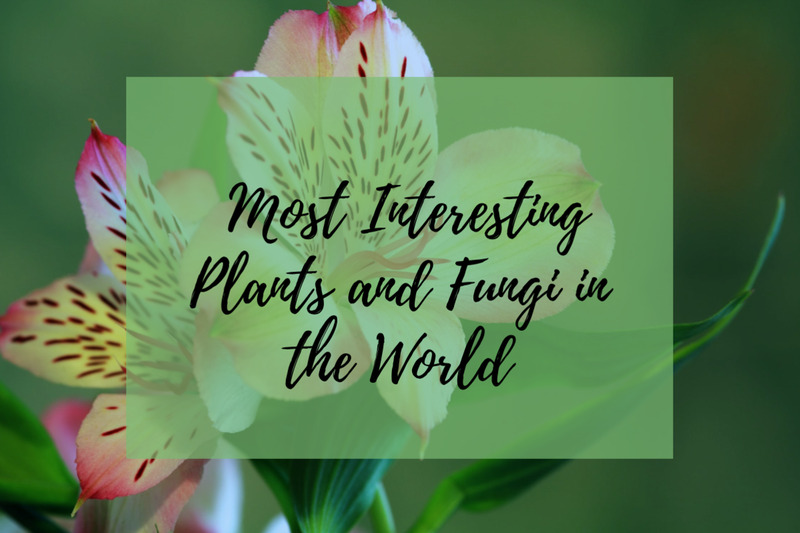 There are lots of surprises in the plant world. Happy Easter, Devika! Good luck with your garden. I hope you find some beautiful flowers. Interesting and informative article about these wonderful flowers! I am not familiar with these flowers. May be they don’t grow in this part of the World. The green one is unique indeed. I have never seen a green flower. Thanks for sharing this excellent and well presented article, with lovely pictures! Happy Easter to you! Beautiful flowers and unique too. Spring is here and I have planned a different garden this season. Flowers add suc natural beauty to our gardens. Thank you, Flourish. I always appreciate seeing a flower in a drab area in spring. I think it's a lovely symbol of renewal and hope. Have a great Easter! What beautiful flowers, particularly against a drab winter backdrop. That green one was especially different as you don’t see too many green flowers. Have a wonderful Easter weekend! Thanks, Peggy. I hope you have a lovely Easter celebration. I was not familiar with hellebores so thanks for the education regarding them. Wishing you a Happy Easter and lovely Spring. Thank you, Bill. Happy Easter to you as well! I've experimented growing a lot of flowers but never this one. Thanks for the inspiration, Linda, and Happy Easter to you! Hi, Mary. I'm glad I live on the west coast of Canada. I like the early spring! Winter can be fun, but it's not my favourite season. Hi, Kristen. I think the flowers are beautiful, too. I love their different colours and appearances. Thanks for the comment, Jackie. Hellebores are one of my favourite flowers, too! Hi, Bill. Thanks for the visit. I expect there are hellebores in New England, at least in a cultivated form. They are popular plants. I love flowers and hellebores are not familiar to me but because of the pictures, I now recognize some of them. When we left the Uk early March the spring flowers were out but when we arrived in Toronto, spring is yet to come. Linda, this was a real interesting hub about those flowers. They're so beautiful and deadly at the same time. I would love to have a potted one to grow at my home and place it on my patio. Thanks for sharing this hub. I am very familiar with this flower and have had my hands all in them, so really thankful for your warnings! I love the Christmas one and I think it is called that because it blooms right up til Christmas. Here in the south anyway. Great info covering one of my favorite flowers! Hi Linda. I was not familiar with hellebore flowers. Thank you for the education. I am wondering if this species might be found here in New England. Would love to see a flower that blooms in late winter, a sure sign that spring is on its way. Hi, John. I appreciate your visit and comment. I think that the plants are interesting. The fact that they are poisonous could be a problem in some situations, though. I love the fact that they bloom so early in the year. This was a very interesting and informative article about a flower I have not had much experience with, Linda. 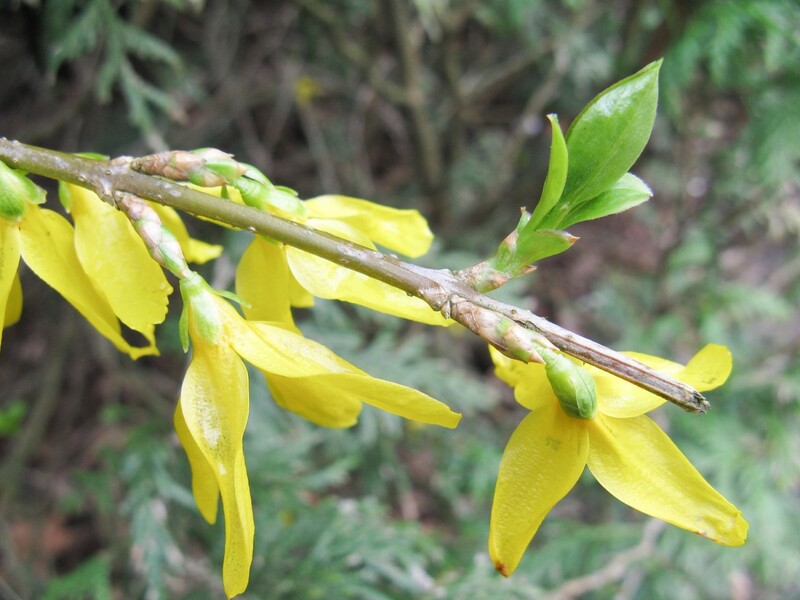 Any plant that flowers in Winter is a welcome addition to the garden, however the fact that most are poisonous causes some concern. Thank you for sharing..great photos too. Thank you very much, Nikki. I hope you have a happy Easter, too! A great read Linda, thanks for sharing dear.